Our local library has this genius system that I am completely in love with. I get online, go the the library website, hit the card catalog button, and type something into the “keyword” bar, hit search, then refine my search to the “Juvenile” location. I “place a hold” on all the books that look interesting. In a few days, I get an email saying that I have items available “on hold” at my local library branch. When I’m out running errands, I swing by the library and pick up my books waiting for me on the “hold” shelf. My 5-year-old scans my library card and all of our “new” books at the self-check out station. He loves it, and I love it even more! It’s a book-obsessed-stay-at-home-mom lifesaver of a system and I am so grateful for whoever came up with the amazing-genius idea! Here is an example of how I recently used this system. We were reading the book “Jesse Bear, What Will You Wear?” for our home school program, Five In A Row. Check out this great system at http://www.fiveinarow.com. 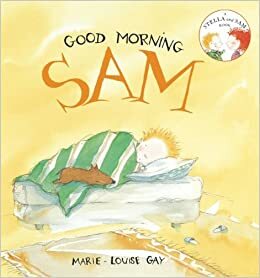 I wanted some books to compliment the book “Jesse Bear, What Will You Wear?”, which is about a little bear getting ready in the morning, doing activities throughout the day and then getting ready for bed. I typed “Good Morning” in the keyword search of the library card catalog, then refined the search to the juvenile section. Then I checked out everything that looked interesting. 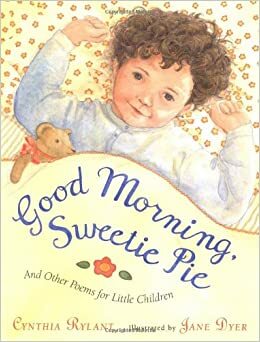 and “Good Morning Sweetie Pie” by Cynthia Rylant. 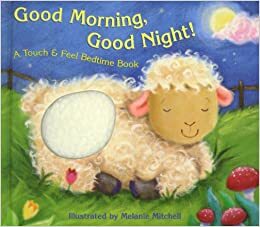 We also liked the book “Good Morning, Good Night!” by Teresa Imperato as complimentary reading material. We received this as a hand-me-down from our friends M. & J. several years ago. Thanks guys! Check out my post on “Jesse Bear, What Will You Wear?” for more fun stuff we did with the book. Check out Five In A Row for the really good stuff. 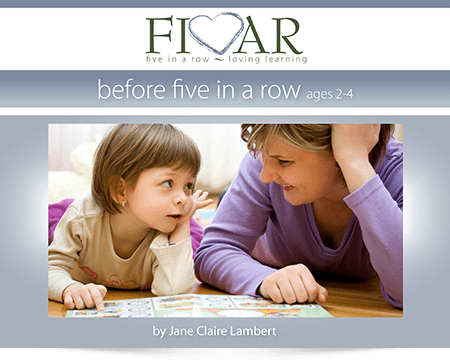 Jane Claire Lambert has a wealth of creative, enriching, educational, easy and fun ideas for lots and lots of great children’s literature.